You want to sell your home, but you don’t want to put the time or effort into changing it at all. Why should you? It’s been great for you since you bought it, someone will love it too. Right? Wrong. And even if it’s right, how long are you willing to wait while your home languishes on the market to find out? 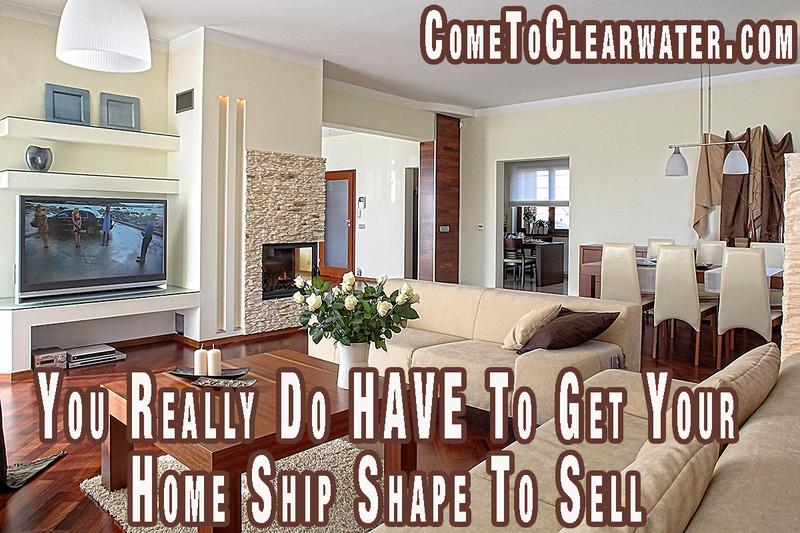 If you’re selling you must get your home ship shape. The first reason you should clean it all up is because you want to make a good impression on prospective buyers. From the first glance at the front door to the rest of your home, a dirty, clutter screams “I AM A LOT OF WORK THAT WILL COST YOU EVEN MORE MONEY” to prospective buyers. That should reel them right in. A clean, uncluttered home will invite them to buy because it is little to no extra work. The second is that no matter if you clean it before you sell or not, you will eventually have to pack it all up and move it. Why not do it now, in a more relaxed manner. Doing it ahead of time will give you time to sort through and get rid of things that you don’t want or need any longer. If you do it later when you’re under pressure to get moved in time for settlement, you won’t have time to pack in an organized way or weed out things you don’t want. Why wait and move it too? Want to get top dollar? Lastly, if you want to get top dollar for your home, cleaning, decluttering and getting it in top shape is the key. Who’s going to offer asking or above on a house that looks dull, or worse, terrible. No one. 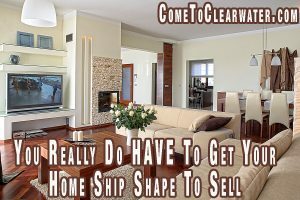 In fact, if your home isn’t show ready you probably won’t even get an offer, let alone asking or above. Do yourself and your bank balance a favor and make your home shine.